We want you to enjoy the ongoing experience of cheese from Evansdale Cheese. Here are some hints, tips and ideas on how to store artisan cheese. Don’t be afraid of moulds and when you see blue, green, and even fuzzy mould on a rind these are usually perfectly fine, but shades of yellow or pink indicate spoilage and are best eaten quickly (or given to the neighbour who has annoyed you! ), The ammonia smell is not something we usually enjoy here in New Zealand as much as Northern Hemisphere dwellers, but the stronger and older French style cheeses can smell like this. Ideally, if you must wrap your cheese, wrap it in cheese paper, or waxed paper -- we also sell cheese bags. It’s best if cheese is not starved of oxygen for long periods of time under plastic wrap, as without any exposure to air this means your cheese can no longer use oxygen, in short, it suffocates, meaning soft cheeses become soggy and hard cheeses will dry out. If you must use plastic wrap, put the cheese on a plate and loosely cover with plastic wrap. Cheese paper allows the cheese to breathe, but also protects it from drying out. If you don't want to invest in cheese paper, parchment paper works just fine, as does wax paper. To help your firmer cheeses retain moisture put them inside an open plastic bag after they are wrapped. Very soft cheeses, such as ricotta or mozzarella, should be stored in their natural liquid in a potteryor plastic container. The best place to store your cheese in the fridge (as you probably don’t have your own cheese cave), is to store cheese in the drawer compartments. Fridges are actually too cold and dry for long periods of time for cheese. To freeze or not to freeze? In a word; no. Freezing your artisan cheese will muddle the flavour and texture. Not all cheeses live well together. 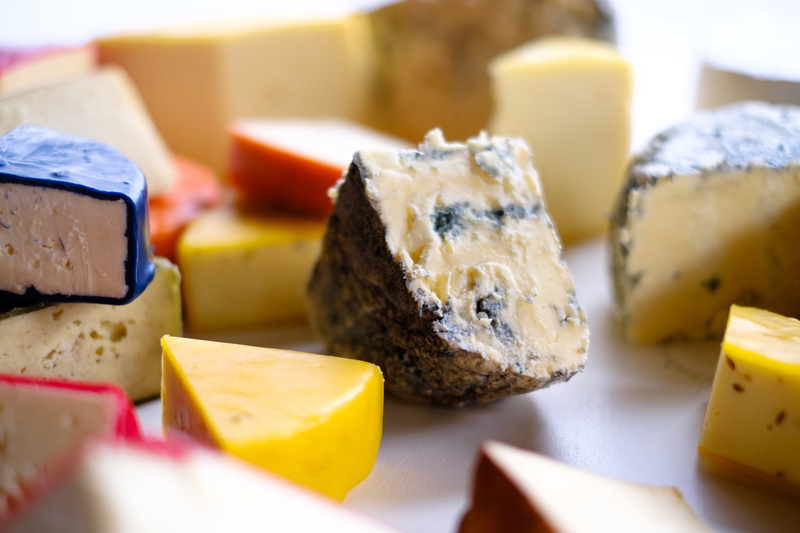 Milder cheeses are best stored separately from stronger cheeses. Blue cheeses should generally be stored on their own. We hope this helps you get the best from your Evansdale artisan cheese.